The Equal Employment Opportunity Commission (“EEOC”) filed a lawsuit against Allstate. It claimed the company violated federal law by requiring the employees to release any legal claims they had against Allstate if they wanted to be hired as independent contractors since that meant they would have to give up any discrimination claims they had against the company. Specifically, the EEOC claimed this violated the anti-retaliation provisions of Title VII, the Age Discrimination in Employment Act (“ADEA”) and the Americans with Disabilities Act (“ADA”). Two employees also filed their own lawsuits claiming the releases they signed were invalid. All three cases eventually were consolidated and Allstate moved to dismiss all of the claims. The court granted partial summary judgment on the claims filed by the former employees. However, it ruled that a trial was necessary to determine whether the employees signed the releases knowingly and voluntarily, and whether the releases were unconscionable. The trial court also dismissed the EEOC’s entire case. Among other things, it concluded it was not unlawful for Allstate to require former employees to agree to waive their legal claims against it as a condition to hiring them as independent contractors. The EEOC appealed. Earlier this year, in Equal Employment Opportunity Commission v. Allstate Ins. Co., the Third Circuit affirmed the trial court’s ruling that dismissed the EEOC’s case. The Third Circuit explained that it is well established that employers can offer terminated employees additional benefits if they agree to release their legal claims against their former employer. Of course, such a release is enforceable only if the employee signs it knowingly and voluntarily, receives something of value in exchange for it, and the release does not waive claims that might occur in the future. The Third Circuit rejected the EEOC’s argument that this case was unique in that Allstate required the employees to sign releases before it would allow them to work as independent contractors. Among other things, it found this argument was illogical since the EEOC admitted companies can offer employees severance pay in exchange for releasing their legal claims. The Third Circuit indicated that Allstate offered employees another alternative to severance pay — working for it as an independent contractor. 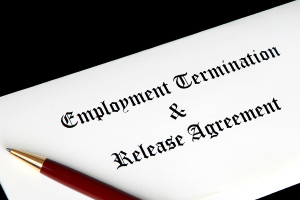 It ruled that offering this additional option did not make the releases retaliatory or unenforceable, but rather was a benefit to the employees. The Court further found Allstate could not have retaliated against the employees because refusing to sign a release is not legally protected under Title VII, the ADA or the ADEA because it is not necessarily related to an objection about unlawful discrimination. Likewise, it found the company’s refusal to hire former employees who did not sign the release as independent contractors was not an adverse employment action since the former employees did not have a legal entitlement to be rehired.